There is a carefully curated subscription box for every sort of enthusiast: vegans, makeup artists, moms, dads, dads with beards, the list goes on. 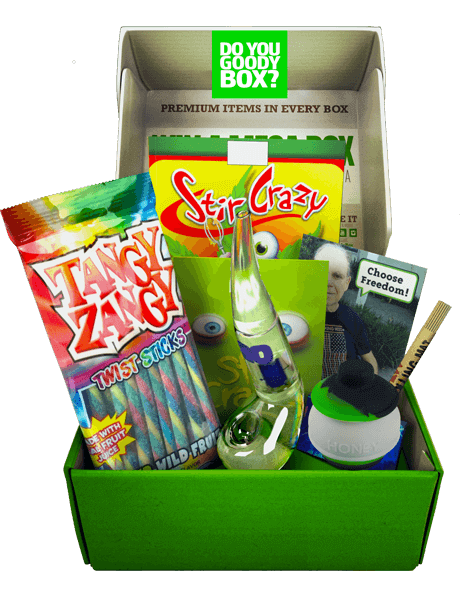 Any hobby, interest or character trait has a monthly subscription box these days, including, of course, the weed subscription box. Stoners rejoice! Now you’ll never have to leave your house for rolling papers again. But considering the legal classification of cannabis in the US today, there are still some restrictions on cannabis subscription boxes which contain straight up bud. In legalized states, it’s not always an issue, but in the rest of the country, 420 subscription boxes have had to get a bit more creative. It’s these more accessible monthly weed boxes that we’ll be exploring here. Available to all stoners and cannabis enthusiasts across the country. Some companies ship their boxes internationally. 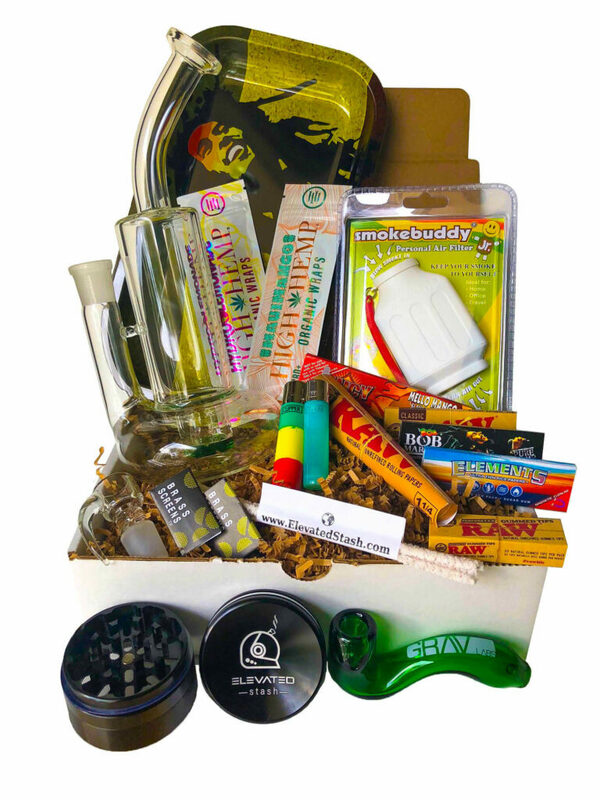 The best weed subscription box should have a bit of variety. 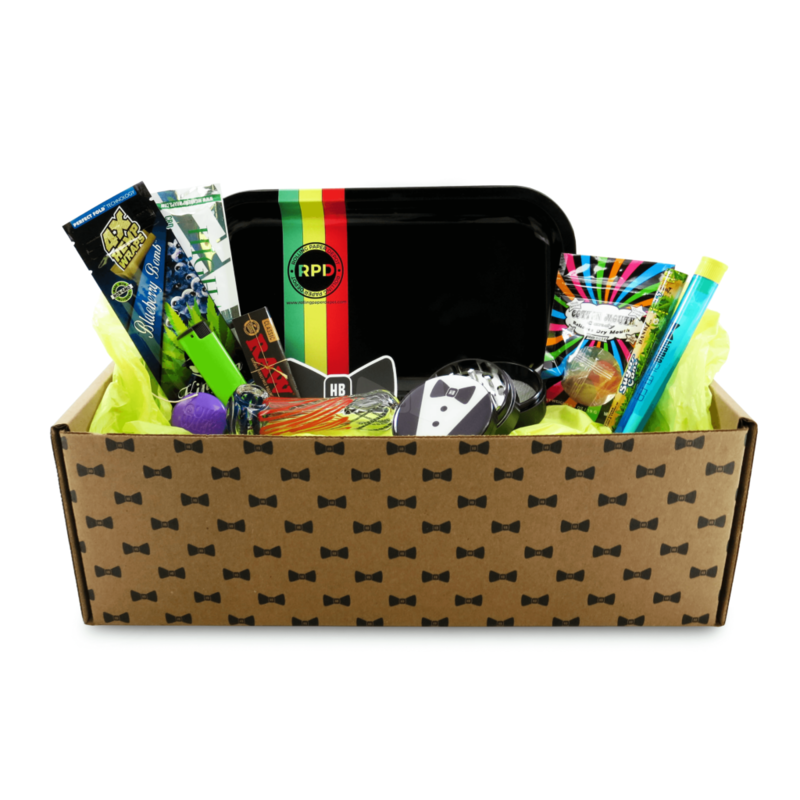 You can only handle so many rolling papers in your life, which is why the best weed boxes curate their products to surprise you with a little bit of everything. Small pipes, papers, and smoking tools are some common additions in monthly 420 boxes, as well as handy accessories like lighters, eye drops, and snacks. Some other boxes get even more creative, with cannabis lip balm, weed leaf socks, and candles. No matter what kind of smoker you are, there is a meticulously crafted weed box out there for you. No matter how digital the world becomes, there is something to be said for getting a surprise in the post box every month. Better than even a birthday present from grandma, a weed subscription box comes already curated with what you know and low–420 goodies and products. Grandma would likely not send you bongs or weed grinders, so thankfully that’s what a cannabis subscription box is for. Weed box subscriptions are above all else, convenient. A handy method of topping up all your cannabis supplies, without actually visiting a store. They also help you experiment with other brands and products you might not usually be exposed to. You’ll have enough lighters, rolling papers and accessories to last a lifetime, all without the hassle of finding a headshop. Thanks to the mailman, these products are helpfully delivered directly to your door. Typical, the products you’ll receive in a weed box are of exceptional quality for the low monthly cost. The subscription companies by in bulk and can, therefore, afford to send everyone a finely crafted box of goodies for less than you could purchase them in the store. In fact, some of the products you might not even find in your local weed shop, making the contents that much more valuable. Hemper’s subscription box has three options for every cannabis user to explore different tools for their best cannabis experience. Always guaranteed to include a glass pipe, Hemper’s boxes allow you to choose between the Bare Essentials, Hemper Pack, and the Glassentials Box, which includes a premium, hand-curated pipe for its users. 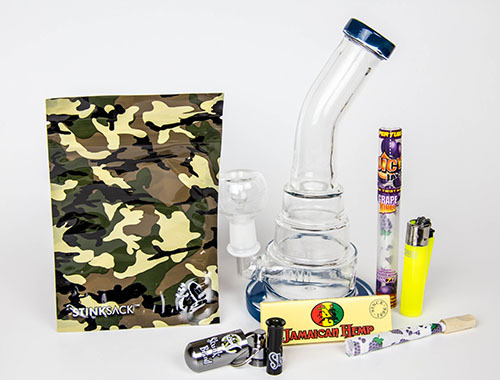 Subscriptions run from $0.99 to $29.99, which each box providing you smoking accessories, smell-proof technology items to protect your stash, and leading products to keep your accessories clean. The subscriptions service is extremely flexible to users with pre-paid, month-to-month, and 3, 6 and 12-month subscription options. 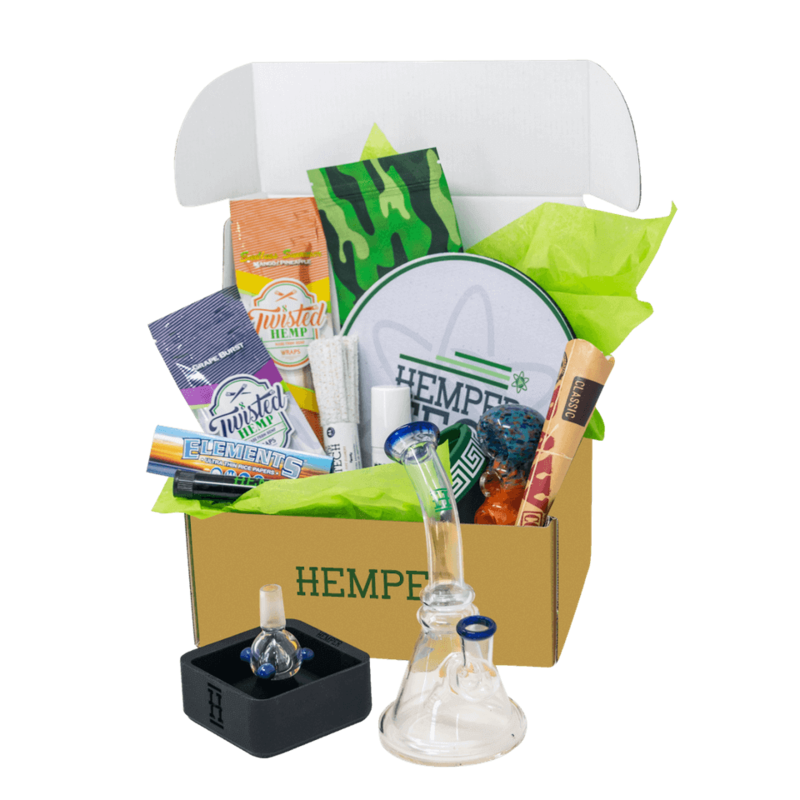 Since Hemper is the most popular weed subscription box, the past boxes which are for sale are often sold out, leaving the user wishing they had only jumped on the subscription service earlier. 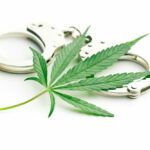 Have you ever wondered how you could smoke weed every day and give back to your community? Then you definitely need to check out this veteran-owned business within the cannabis industry! Elevated Stash subscription boxes make that dream possible. They donate every month to charities supporting US veterans and their families. Plus, they care about what you get in your box every month. Which means even their “Dead Sea” Box (the budget option) isn’t your typical box filled with stickers and useless accessories. Look for quality stoner-essentials, refills for your lighter, papers, and blunt wraps, along with other helpful accessories. One step up, their main box is known as “Pikes Peak,” is everything you need each month plus a new piece of glass. They also have a handful of one-time purchase boxes if you can’t commit to a monthly service. “Mount Everest,” their premium one-time purchase box, includes a variety of glassware pieces, grinders, rolling tray, and much more. Veteran owned and operated. They give back a percentage of every sale to a charity supporting veteran access to cannabis. They also donate their time and resources within the community to help spread the powerful truth behind cannabis and what it can do for veterans versus all the prescription pills. They test all products before choosing them for the subscription box – which means no filler! It’s especially hard to fault this option, considering how much they give back to the community and support the veterans with every single purchase. If they have any cons, it’s only the lack of monthly subscription and one-time purchase options. Smokers love the Hippie Butler weed subscription box because it allows you to customize your weed box to your preferences. There’s an option out there for joint rollers, concentrate lovers, glass collectors, and all-around connoisseurs who like trying new brands. Includes popular brands such as Cookies, DoobTubes, Juicy J, Raw Papers, etc. Promising “all-natural rolling papers” and “glassware smoother than your Grandpa’s saxophone solo,” the Daily High Club is a marijuana subscription box curated by industry professionals, starting at only $1 a month. Dollar High Club offers three boxes at $1, $12, and $30. The cheaper boxes provide monthly essentials like papers, pipe cleaners, pre-roll containers, and eye drops. 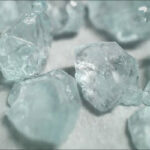 The primo $30 420 box includes $80 worth of products, including a new glass piece in each box. These aren’t cheap glass pieces, either. 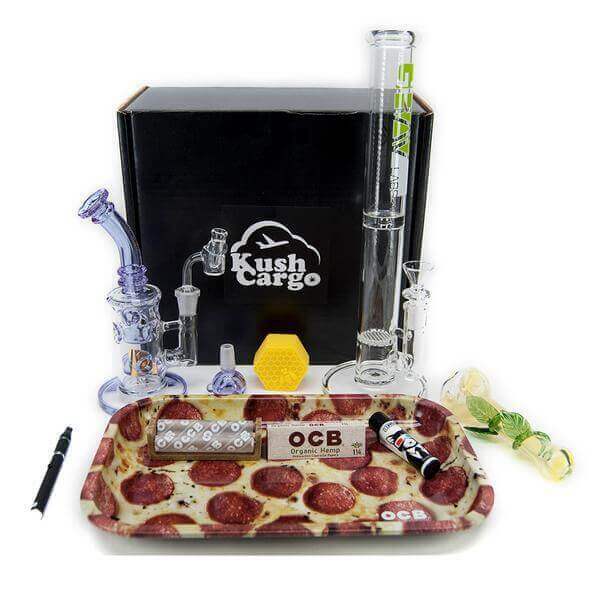 You’ll find DHC pipes and bongs, and you can buy items from previous boxes in their online store. They seem to spend a lot on advertising and the buyers have to cover the cost. Cannabox is more than just smoking essentials, it also infuses fun pop culture references into the products they offer. The Cannabox costs $20.88 a month for $40 worth of goodies, with a small discount if you sign up for three or six months. Their 420 subscription box includes limited edition smoking essentials from new companies, a t-shirt, and other fun gadgets. If you’re a heavy smoker or looking for a monthly weed box that will deliver a stock of essentials each month, this isn’t for you. This is more to celebrate 420 culture, laugh at pop culture references, and find “fun stoner” items you might not see in local shops. For only $14, you can buy a Cannapack, a box filled with goodies from previous boxes. 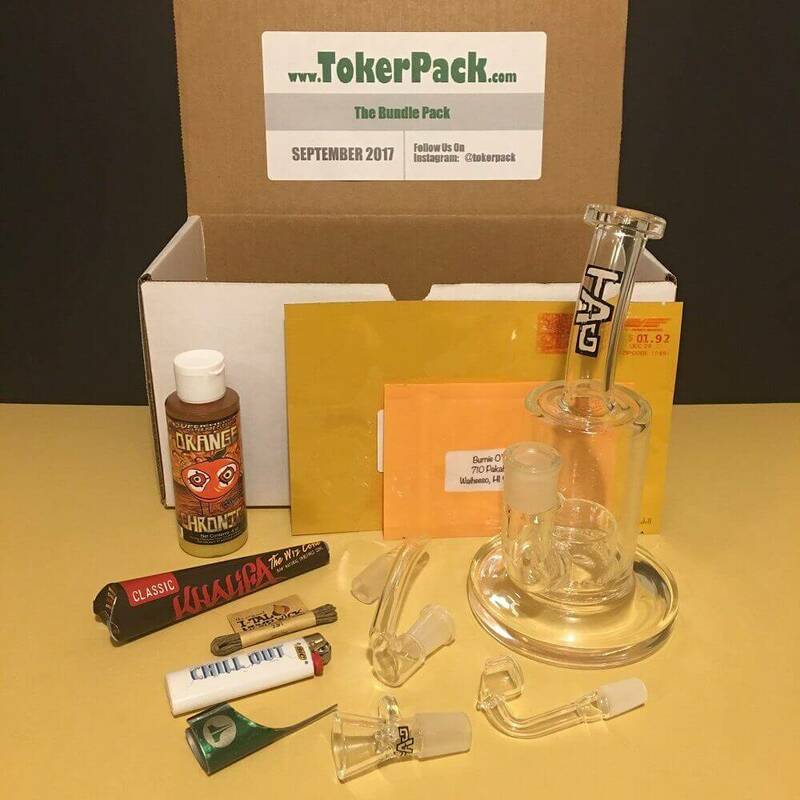 Cannapack doesn’t include the monthly theme like the regular box, but it’s an inexpensive way to see what kind of goods they’re offering before committing to a subscription. The Loot Pack – $9.95 a month for four to eight items, ideal for rollers and smokers who want to stock up on essentials for a great price. No glass included. The Goody Box – $21.98 a month for five to nine items and a glass piece or vape included in every box. This is their most popular subscription, which includes $45 – $85 worth of goodies. The Top Shelf – $79.98 a month for seven to 13 items worth $150 – $250 and a top-shelf piece included in every box. 420 Goodyboxes include a unique variety of items each month including bubblers, grinders, snacks, and stickers. It’s great weed box if you enjoy collecting glass or have considered switching to a vaporizer since you’ll receive one in every box if you subscribe to the Goody Box or Top Shelf. 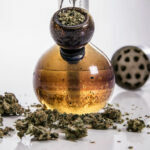 Not to mention, the price-to-value ratio in these boxes is perhaps the best weed subscription box on this list, so we rate the 420 Goody Box the best bong for your buck. PufferBox is a themed weed box that delivers a glass piece, fun gadget or accessory, post-smoke snack, and small essentials in each box. At $25 a month with a small pre-pay discount it’s similar in price to other boxes, and you can expect five to eight items in each box worth about $50 in value. If you’re testing the weed subscription box waters the PufferBox is a nice place to start, especially if you like collecting glass or trying new accessories. Especially compared to other weed subscription boxes, the Kush Cargo is packed for the price. Each box comes with a piece of glassware for your preferred consumption method. 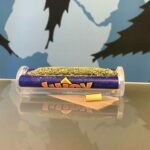 It also includes small essentials such as rolling papers, filters, silicone mats, stink bags, rolling trays, and doob tubes. For the price and value per box, it’s a great option if you like to try out new brands and glass styles, especially if you’re a dabber. The Puff Pack is quickly rising in popularity due to the impressively low-price options, ranging from $1 to $18 per month. All of their options are under $20, so if you are exploring a 420 box for the first time or just want some smoking essentials delivered to your home for cheap, the Puff Pack is a great option. The Economist – $1 per month, includes a pack of RAW brand tips, rolling papers, and a lighter. It’s nothing special if you’re looking for an exciting box to open, but if you smoke a lot of joints and would rather save a trip to the store and have the basics delivered for $1 ($3 with shipping), this is an easy and cheap way to do it. Plus, it’s brands we all know and trust. The Mediator – $7 per month, includes the same essentials as The Economist with a couple extras such as hemp wicks, eye drops, and a “mystery item.” For $7 it’s cheaper than what you’d pay in the store for these items, especially if you’re rolling your own joints. The Artisan – $18 per month. The Artisan includes all the essentials of the other two boxes, but also includes a glass piece and grinder or another accessory. The Puff Packs aren’t filled with stickers, t-shirts, or snacks, so it’s ideal for smokers looking for an inexpensive way to stock up on smoking basics each month without unnecessary extras. Mini Pack, $5 per month. Includes rolling papers and another accessory for a nice discount. Great for heavy joint smokers who want the basics delivered for cheap. Accessory Pack, $25 per month. 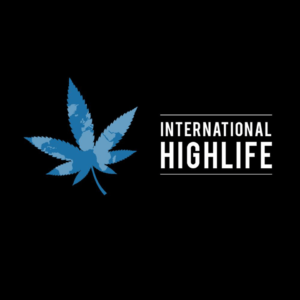 Includes glassware, accessories, and surprises from new and popular brands in the cannabis industry. It’s a great “middle of the road” price if you like trying new glass pieces and collecting small essentials from head shops for less. Bundle Pack, $60 per month. Includes up to a 10-inch piece of glassware. Great for collectors who want something fun to open each month. Stashbox is different than other boxes in this category because it combines the idea of a luxury lifestyle box with cannabis. Subscribers fill out a few lifestyle questions before signing up, and a box will be tailored to your preferences with five to eight smoking, food, body care and wellness items. 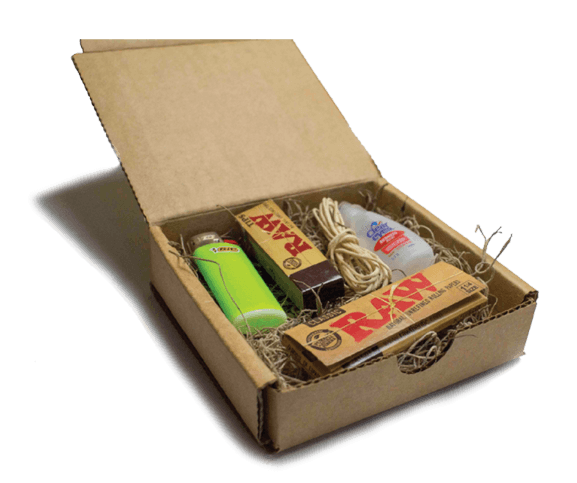 Previous boxes have included candles, hemp-based body care, natural rolling papers, glassware, and stickers. At $29.95 a month for five to eight items, Stashbox is an affordable beauty/wellness box, cannabis subscription box, and food subscription box all rolled into one. It’s great if you like subscription boxes but don’t want to commit to one category.